October | Do You Hear The Music? 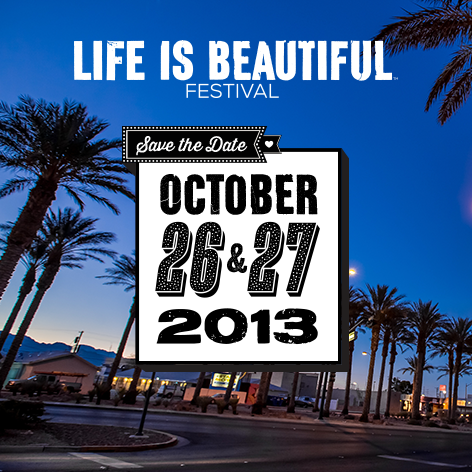 Here we go, the home stretch towards the second Life is Beautiful festival in Downtown Las Vegas, October 24-26. 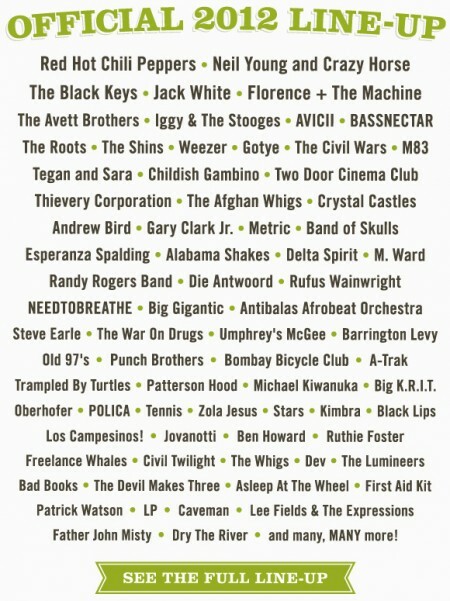 In anticipation, each day at DoYouHearTheMusic.com I’ll be running down an artist or two on the lineup! If you haven’t gotten your tickets, do so at www.lifeisbeautiful.com and if you have, awesome and I can’t wait to see you! 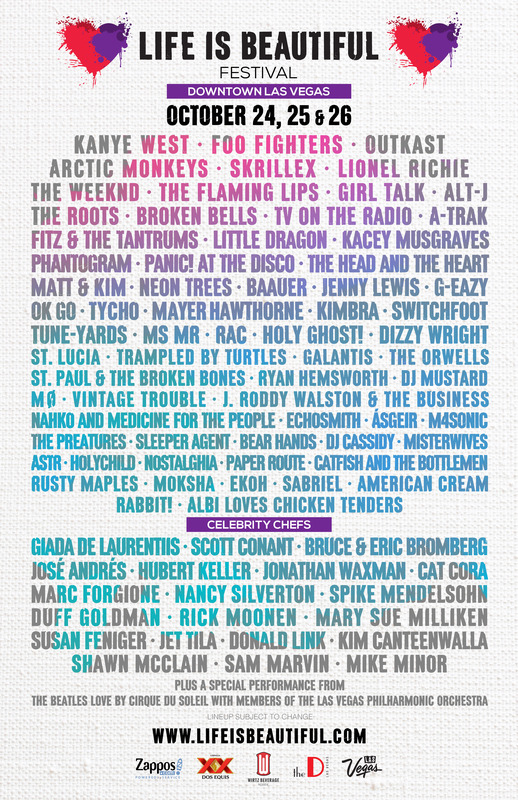 This morning we announced six new artist additions to the Life is Beautiful Festival 2014 lineup! Stoked to keep making this lineup stronger with the additions of Little Dragon, Baauer, Kimbra, Nahko and Medicine For The People, Echosmith and Bear Hands! 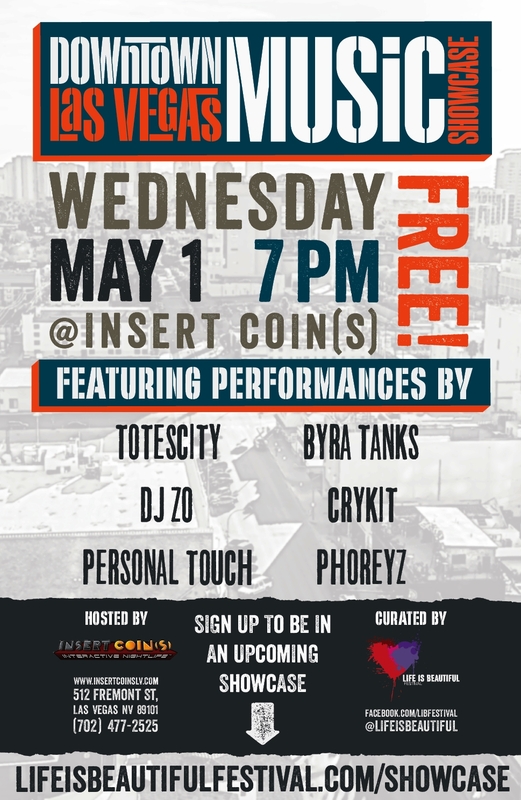 Join me for the @LifeIsBeautiful #DTLVMS at Insert Coin(s) Wednesday Night! Super pumped for our next installment of the Life Is Beautiful Downtown Las Vegas Music Showcase as we bring the party to Insert Coin(s). For May it’s all about the DJs and we’ve got a great lineup including Totescity, DJ Zo, Crykit, Byra Tanks, Personal Touch and Phoreyz. Plus we’ve got free video games from 7-10, a wicked cool video art installation by Space Cadets AV and $5 Red Bull drink specials. If you’ve never been to Insert Coin(s), you must stop by. The gaming meets nightlife palace is one of my favorite places in Las Vegas and I’ll take you on in Frogger! Not familiar with the Downtown Las Vegas Music Showcase? It’s a monthly event we hold at a Downtown Las Vegas venue that features homegrown talent right here in Nevada. 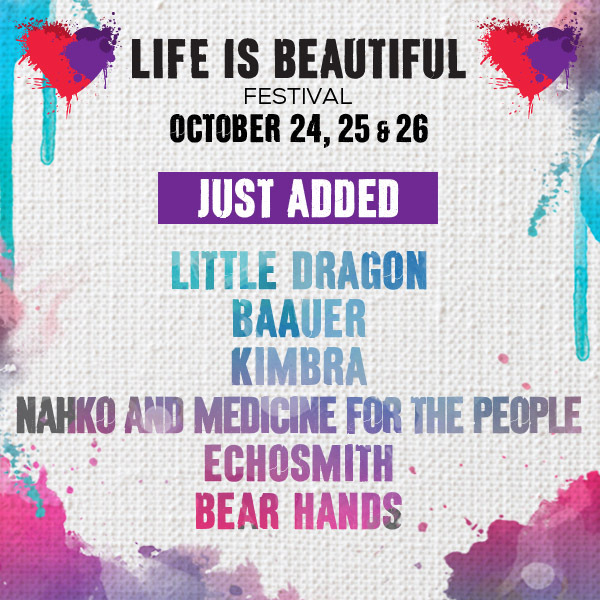 All talent being showcased are vying for opportunities to perform at the inaugural Life Is Beautiful Festival taking place in Downtown Las Vegas October 26-27. Even more so, it’s an opportunity for locals to discover the talented musicians we have in town as well as the chance for the musicians to introduce their sound to the community all while spending time in some of the amazing venues we have Downtown. I hope you can make it out tomorrow night, it’s going to be a fun one!